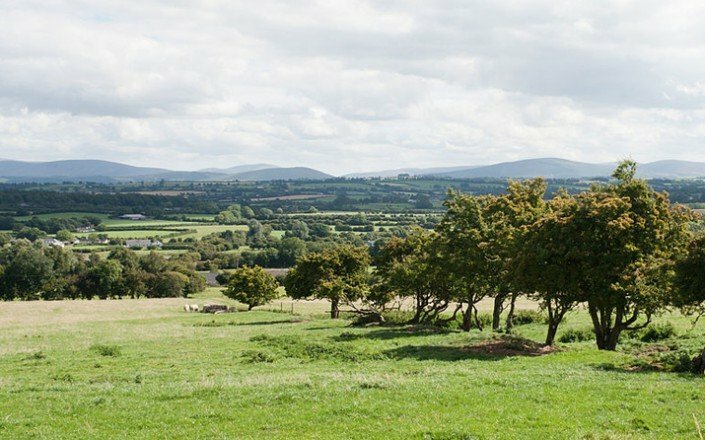 The official name for the town is ‘Kilcullen Bridge’, to distinguish it from ‘Old Kilcullen’, a hill and settlement about 2 miles outside of town which was the scene of one of the bloodiest battles in the 1798 rebellion against English occupation. 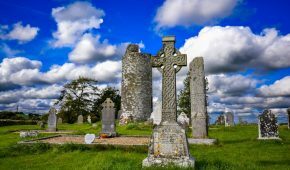 Kilcullen is situated on the Naas/Athy and Kilkenny road and stretches half a mile each side of the bridge which is situated in the centre of the village. 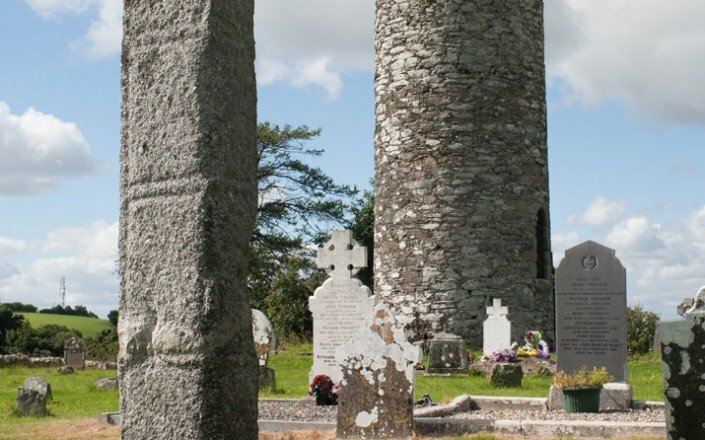 Prior to the building of the bridge in 1319, the main settlement had been at Old Kilcullen. 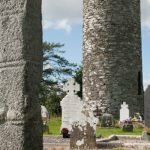 Old Kilcullen was once the site of a monastery and the remains of a church, a round tower and 3 crosses are still in existence in the Old Kilcullen area. In 1841, Kilcullen had a population of 1,056. In 1986, this had grown to 1,817, whilst in 1996 it had fallen to 1,682. 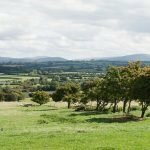 According to the 2011 census Kilcullen has a population of 3,252. Castlemartin House is situated just 1 km outside of Kilcullen and is an 18 th century house now owned by Dr. A.J.O’Reilly. 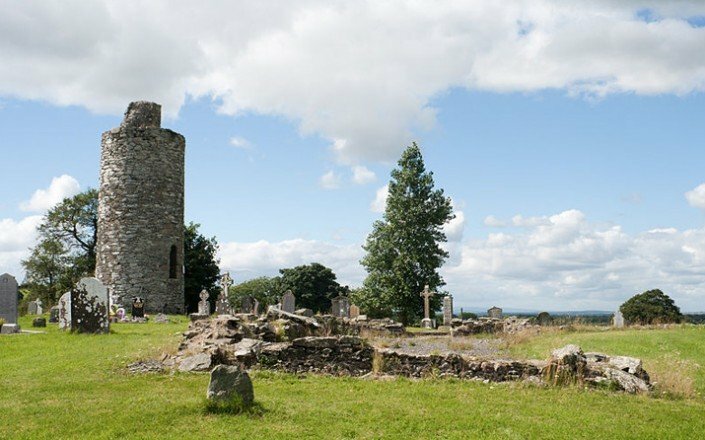 Kilcullen was also the scene of one of the most fiercely fought battles of the 1798 rebellion. 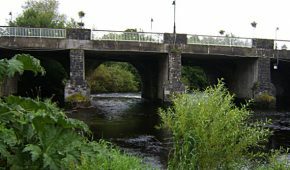 A monument, in memory of 1798, is now erected on Kilcullen Bridge. 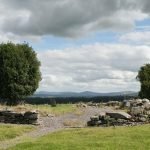 General Dundas, was the Chief British Officer in Co. Kildare and he used Castlemartin as his headquarters. The 1798 rebellion began in Naas and Kilcullen simultaneously. 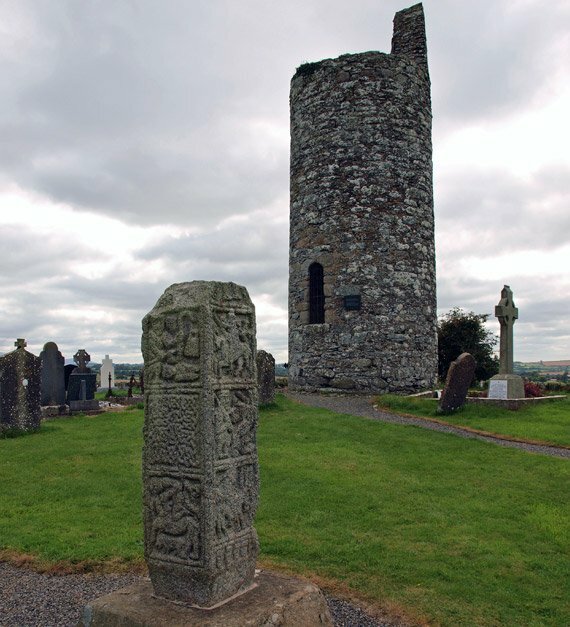 The battle in Old Kilcullen was the only successful battle for the rebels in County Kildare. Dundas retreated on the night of the battle. 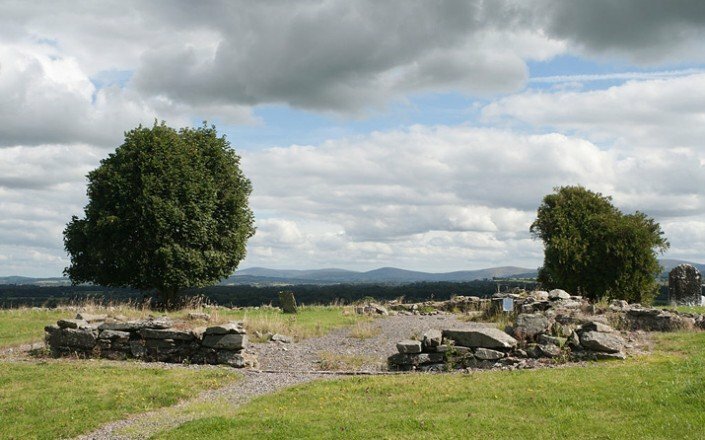 The next day at Kilcullen Bridge they were ambushed by Dundas’s forces and quite a few of the men were killed. 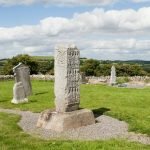 Any who escaped fled to Knockaulin Hill which is very close to Castlemartin and remained there for a couple of weeks, however, in the end they surrendered to Dundas. 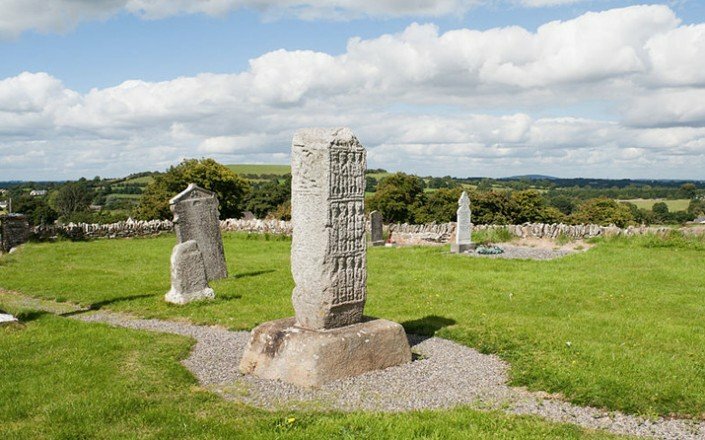 Ancient history books such as the Annals of the Four Masters tell of terrible Danish attacks on Kilcullen in 936 and 944 AD. This probably led to the construction of the Round Tower. The tower is approximately 40 ft high and the top parts suffered a lot in 1798. An account written in 1782 tells of there being four large windows in the upper part of the tower but only the semblance of one now remains. There was a battle nearby on 24th May 1798. 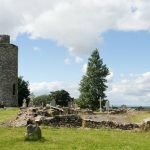 Situated 1 mile south of Kilcullen, this is the ruin of a Franciscan Monastery founded in 1460 by Sir Roland Eustace who died in 1469 and is buried there. During Henry VIII’s reign, the Protestant Archbishop of Dublin wrote to Cromwell, Lord Privy Seal, in May 1538 requesting New Abbey as a country home for himself. In 1539 the Monastery was closed. 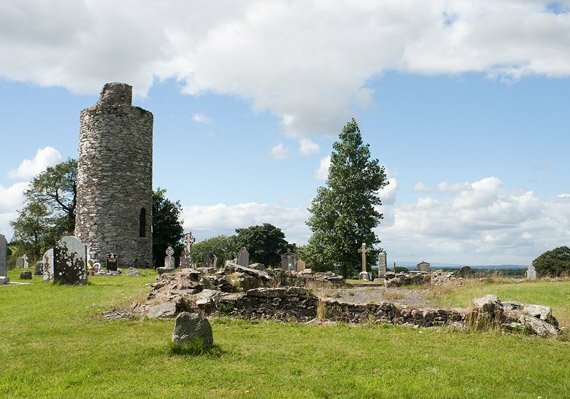 There is also a 15th century graveyard located in the grounds of New Abbey. The village has recently been bypassed by a motorway and this has reduced the amount of heavy traffic passing through it.